Audio mixing means combining multiple channels (bass, drums, vocals, guitars, keyboards etc.) into a stereo file. Professional mixing that meets the quality standards of major record labels requires deep knowledge of techniques, vast experience, great musical taste, as well as expensive equipment and acoustically treated rooms. From our Central London studios, the Doctor Mix team delivers world-class mixes to artists and labels worldwide since 2006. We have the knowledge, the gear and the passion necessary to make your music sound great. Remove all compressors, EQs and whatever plugin you used for mixing purposes and export your session as individual audio files. 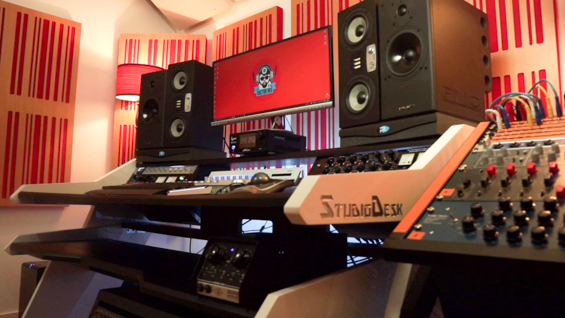 Here are our video tutorials on how to how correctly on: Logic, Ableton Live, Cubase and Reaper. Remember to make sure the channels don't clip. If necessary pull the faders down. Export your files and put them in the folder. Count the files in your folder place your order for the appropriate Mixing & Mastering package (e.g. 22 files = Mix & Mastering 24 package, 35 files = Mix & Mastering 48 package). If you want changes to the sound log into your account and send us a List Of Tweaks. 2 revisions are always included.